The luxuries to find on our private island. 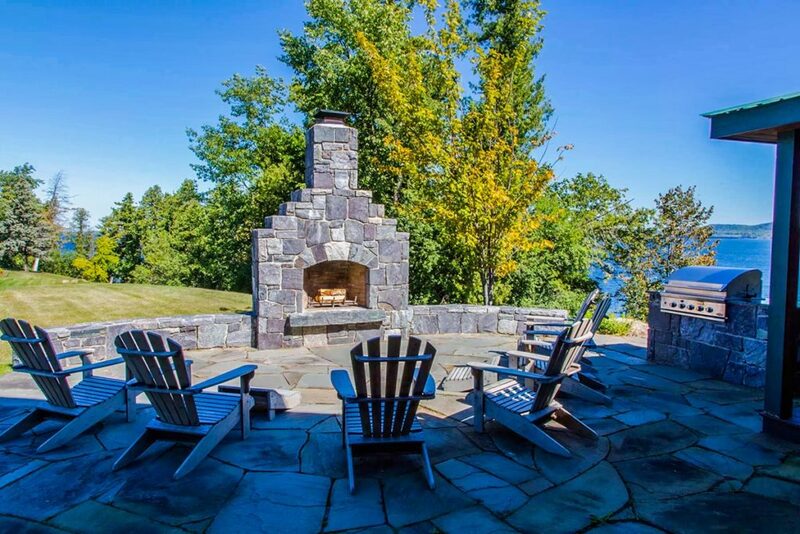 A four-season, 8.4-acre private island getaway, Cedar Island, combines access to outdoor adventure and modern amenities in a stunning natural setting with 360-degree views of Lake Champlain, with sunrise over the Green Mountains and sunset over the Adirondacks. The property boasts outdoor features, including a lounge area with fireplace, deck with hot tub, outdoor shower, gazebo overlooking the pastoral lawn, beach house, 180-degree views from a screened-in porch, 4 private beaches, and boat dock, as well as a Ranger 4×4, 17-foot canoe, kayak, dinghy, generator, lawn tractors, and maintenance equipment. Kayak, fish, and explore protected coves or enjoy an alfresco dinner overlooking the water; the crystal-clear waters of the lake are a summer playground. The island is a site for boating, and it has a famous reef and great natural beauty. Stargaze without city lights or meander through forested landscape. Hike among the Autumn reds, oranges, and yellows of the changing maple and birch leaves. 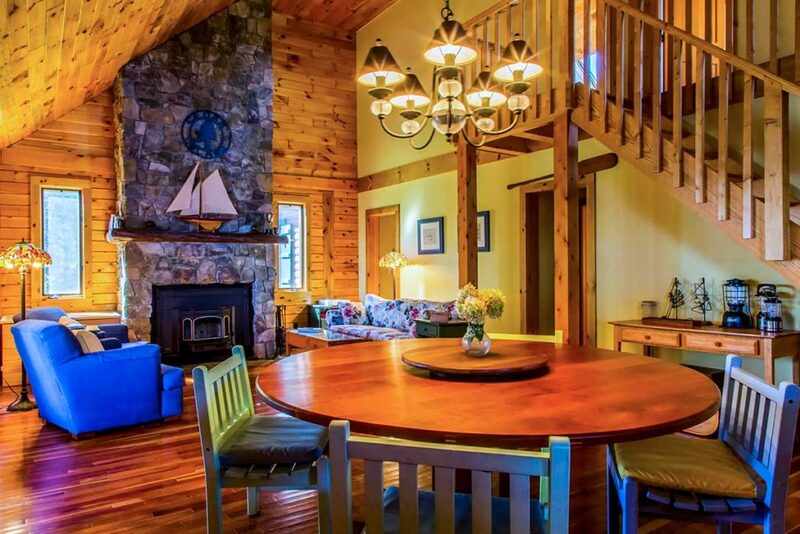 Enjoy spring snow falling on majestic cedars; our island retreat will keep you cozy with all the modern necessities. 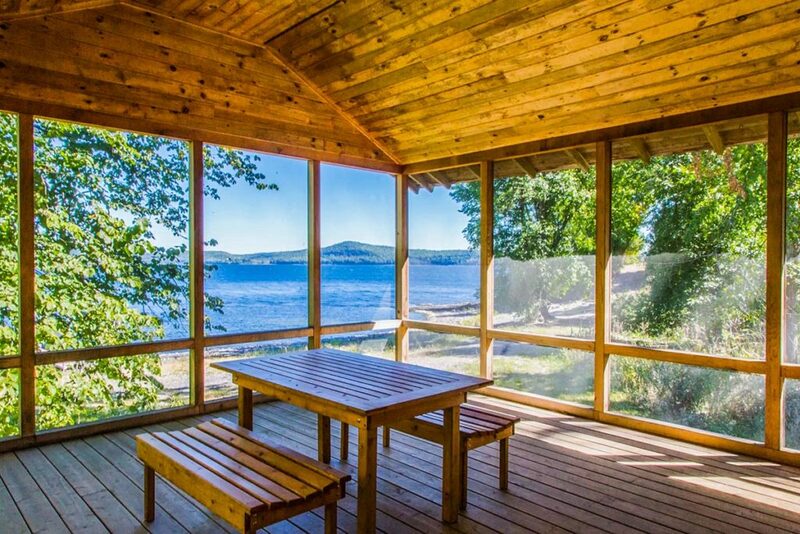 The beach house provides 180-degree views from the screened-in porch, family lounging space, 2 changing rooms, and access to wide, shale beach. The 5 bed, 2 bath main house sits on the highest point of the island and features vaulted pine ceilings, pine walls, cherry hardwood floors, a Panton stone fireplace with woodstove, a large screened-in porch, atrium doors that bring the outside in, a gourmet kitchen with stainless fixtures, butcher block counters, and gas range. 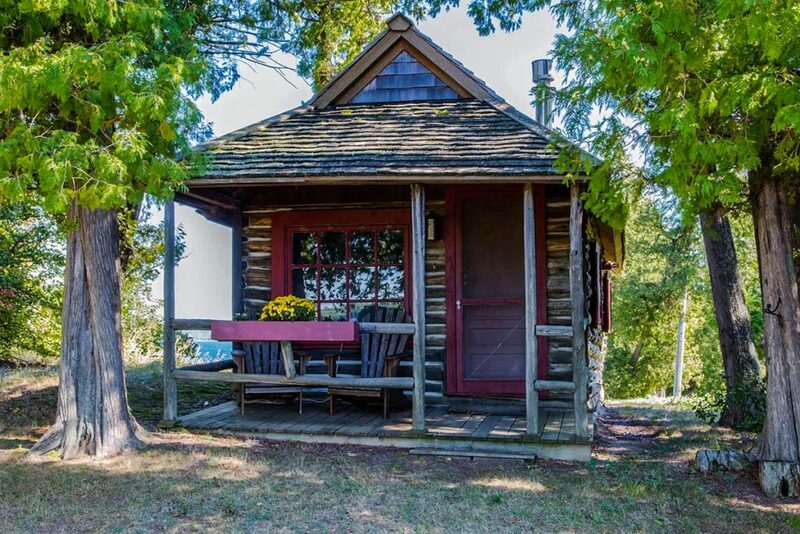 A secluded 1 bed, 1 bath guest cottage includes a living room with a bead board ceiling, a painted pine cathedral ceiling and floors in the bedroom, a gas woodstove, and front porch. 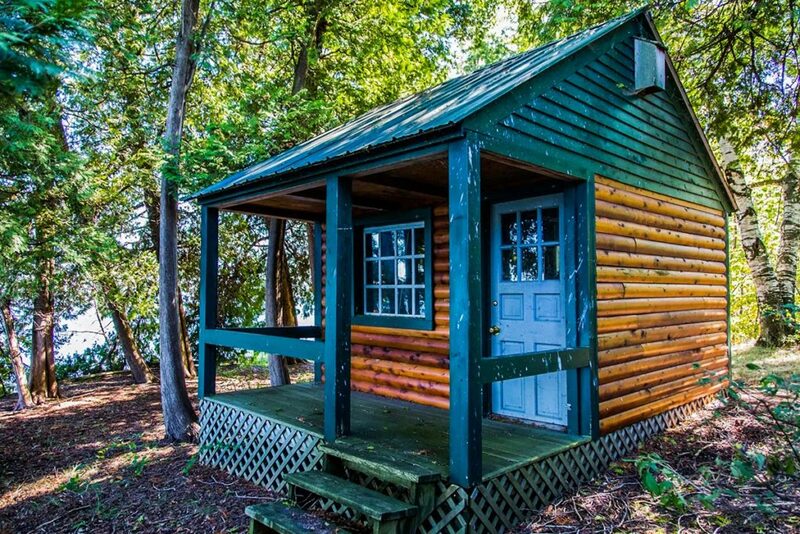 The island also includes a quiet, log cabin artist cottage with a bedroom and covered porch. 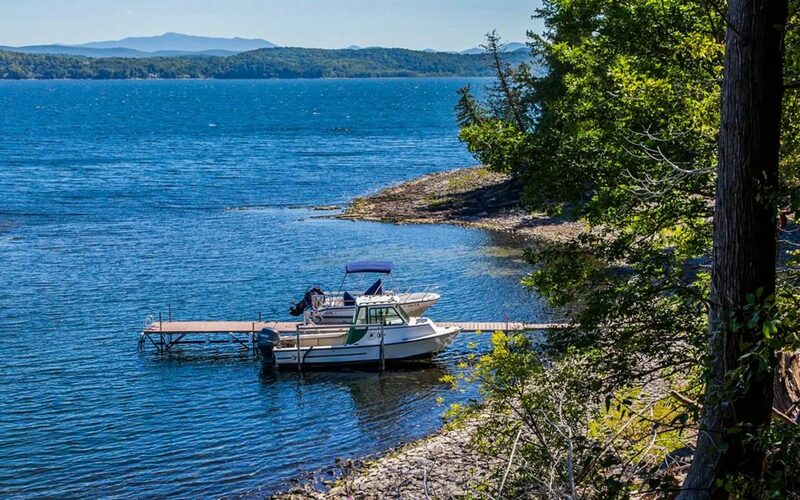 Cedar Island is the southernmost of three islands to the east of South Hero, Vermont and is only accessible by boat. 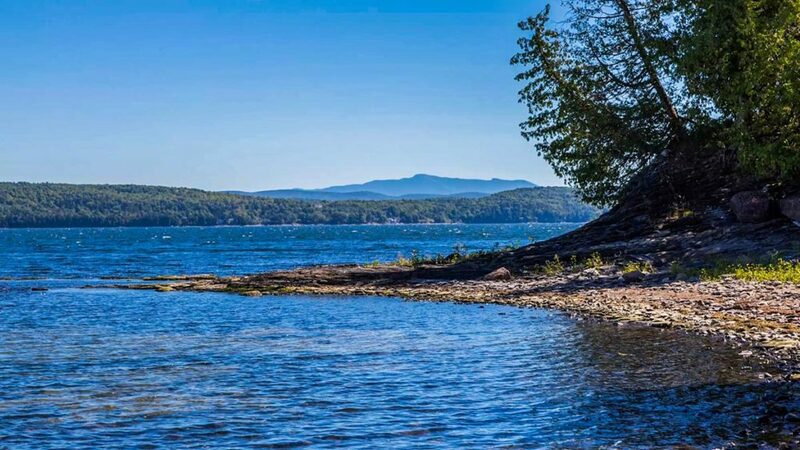 Located on Lake Champlain, it is about two miles north of the Sand Bar Bridge, about 20 miles outside of Burlington, a 5-minute boat ride to the mainland marina in South Hero, and 35 minutes to Burlington International Airport. 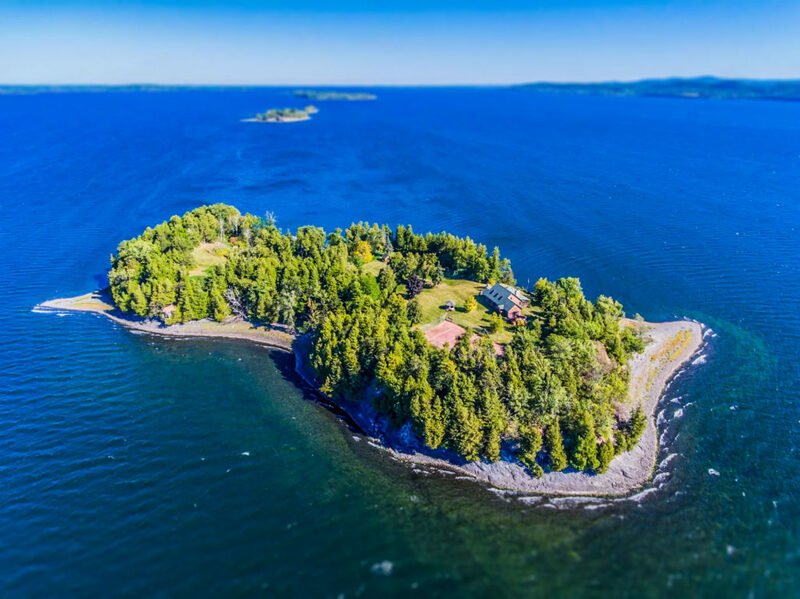 Despite its secluded setting, Cedar Island is within proximity of the culture, shopping, and dining of Burlington and adventures further afield in Montreal, Boston, and New York.